Welcome to our second blog. I’m going to start a 2-part series today on what is a cavity and how do we fix it. 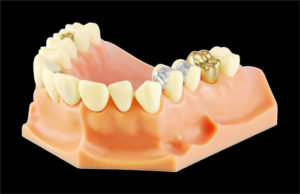 I will discuss fillings today and lab made restorations like crown in the next blog. According to the National Institute of Heath, 92% of people will have had a cavity on a permanent tooth by the age of 20. If you want to learn more about preventing decay so you can be in the 8%, see our last blog. Today we are going to focus more on what is cavity and how we can restore the tooth to full function. A cavity is a hole that forms in the tooth from the acid destruction of enamel produced by the bacteria we have in our saliva when they are given sugar. The body has ability to repair enamel, but the rate of breakdown is often faster than the body’s ability to repair which is results in formation of a cavity. Once the cavity is through the enamel, your body can no longer repair it, and it continues to get larger until it is repaired. If caught early enough, teeth can be repaired by removing the damaged tooth structure and bonding in white filling materials called composite or by placing silver fillings called amalgams. If the decay advanced to where the remaining tooth structure isn’t strong enough to support itself then more advanced treatments such as crowns, root canals, and possibly extractions are required. This is the benefit of regular dental exams and x-rays. The earlier we catch it then the stronger the tooth is and the less expensive the treatment. The most popular and esthetic filling in dentistry today is by far composite resins. Composites are popular with patients and doctors for many reasons, such as esthetics, the ability to bond in the restoration, and the ability to remove less tooth structure necessary to place a composite. Today’s composites are very esthetic and come in a large variety of colors. A composite is bonded in with an adhesive which allows dentist to place in more conservative preparations resulting in less tooth removal. Composites are also light cured which allow you to leave the office with a fully hardened restoration. Composites also come in a variety of shades which allow us to restore many gaps and imperfections on front teeth without the need of veneers and crowns which allows us to save tooth structure. Here is a video showing an animated example of the steps of placing a composite resin. The main disadvantage of composites is that the tooth must be dry and the curing light must be able to get to the restoration which makes some teeth whose decay goes well under the gums or gingiva not great candidates for composite resins. The most popular filing in the history of dentistry is the dental amalgam. Amalgams were the go to restorations for most of the history of dentistry, but due to esthetics and fear of mercury, they have lost popularity. At Simpsonville Family Dentistry, we don’t place a ton of amalgams today, but I do think there is a place and time for them. An amalgam is a mixture of mercury, silver, tin and copper that are mixed together and placed into a cavity. An amalgam cures over the next 20 or so hours until it is hard which requires the patient to change their biting habits over the day the restoration was placed. The advantage of amalgam is that it can be placed in wet environments which composites cannot and in areas so far under the gums or gingiva that we don’t feel comfortable that we will be able to get the curing light needed for composite. Amalgams do have a very long history of longevity. We have many patients who have had amalgams serving for over 20 years. Amalgams are not a bad restoration at all, but they are slowing going extinct with the improving quality of bonding agents and composite resins over the past 25 years. The third restoration is glass ionomers. Glass ionomers are basically limited to being a base under composite resins and on little cavity on the cheek and tongue side that you don’t bite on. Glass ionomers are white and have the advantages of releasing fluoride over time which has been shown to prevent decay. Glass ionomers have also been found to be recharge their fluoride from the water we drink and toothpaste we use so they can continue to release fluoride for years after placement. The problem with glass ionomer is strength. They can only be placed on surfaces where you don’t bite such as the cheek and tongue. They have a place in modern dentistry, but due to their lack of strength it is limited. I hope this helps bring clarity to each of the 3 types of restorations. As you can see, there isn’t a perfect restoration, but the presence of all 3 as options makes many teeth restorable without more expensive crowns and veneers than 25 years ago. If you have any questions, feel free to reach us at 864-963-3481 or by email.